Once the decision to emigrate was made, the Norwegian farmer and his family had to separate their personal belongings into what to keep and what to permanently abandon before embarking to the United States for a better life. Some objects they selected were practical items needed for surviving in their new lives, while others were sentimental items. But each might become a vessel of nostalgia and a memory of heritage. 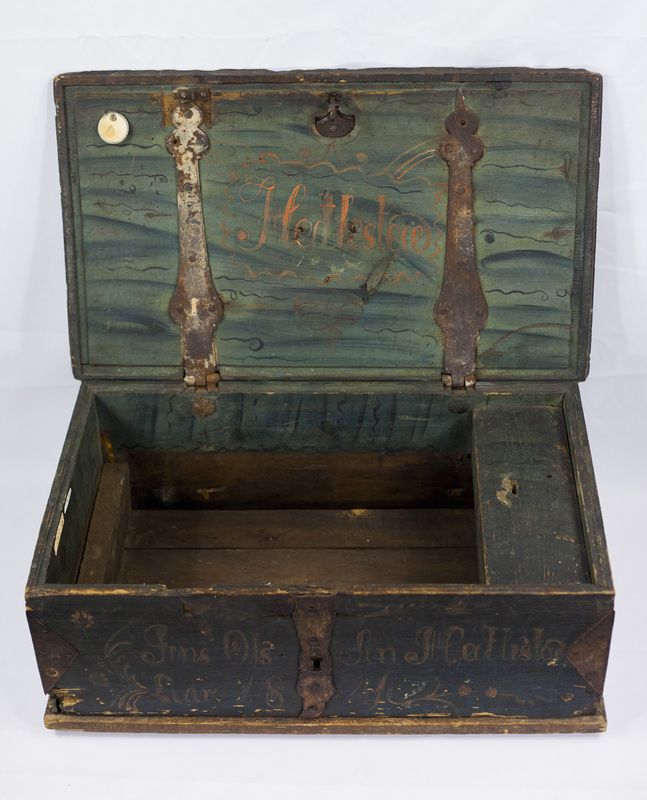 Small boxes like this one were used for food on the voyage or for the most personal of belongings. This trunk was passed down in the Langland family before it was gifted to Little Norway by Knud Langland, Isaak Dahle’s cousin.